Do you want to look for information of Vietnam Consulate in Romania ? 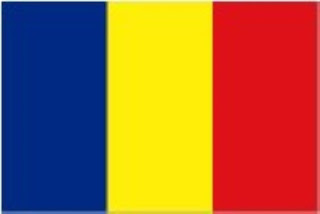 There is NO Vietnam Consulate in Romania but you can find below for address and location of Vietnam embassy in Bucharest, Romania to contact instead. Address: No. 35, C.A. Rosetti street, district 2, Bucharest, Romania. E-mail: vietrom2005@yahoo.com ; vnemb.ro@mofa.gov.vn . Romanians are required visa for entering Vietnam. Would you please remember to apply Vietnam visa if plan to spend your vacation in Vietnam. As a Romanian, you can contact Vietnam embassy in Bucharest, Romania to apply for Vietnam visa or you can apply online through visa agency in Vietnam for Vietnam visa on arrival if entering Vietnam via international airports. Vietnam visa on arrival is cheap and convenience, however, for obtaining Vietnam visa on arrival at international airports, Romanians passport holders must have approval letter (also called pre-approval letter) from Vietnam Immigration Department allows for pick up visa on arrival at international airports of Vietnam. You can contact visa agency or company in Vietnam to ask for sponsored and arrange that kind of approval letter for your visa.